Get in on the immersive video fun with this handheld, durable 360 degree camera. Watching an immersive video or VR experience, it’s easy to think you’d need bulky or expensive gear to create similar content. But that’s not the case. In fact, 360-degree video is more accessible than it’s ever been. The 360fly HD Video Camera offers a solid example. Roughly the size of a GoPro, it captures full 360-degree video and stills, compatible with VR as well as mobile and desktop apps. So you can, for example, clip it to your helmet to capture immersive recordings of your wildest bike ride. 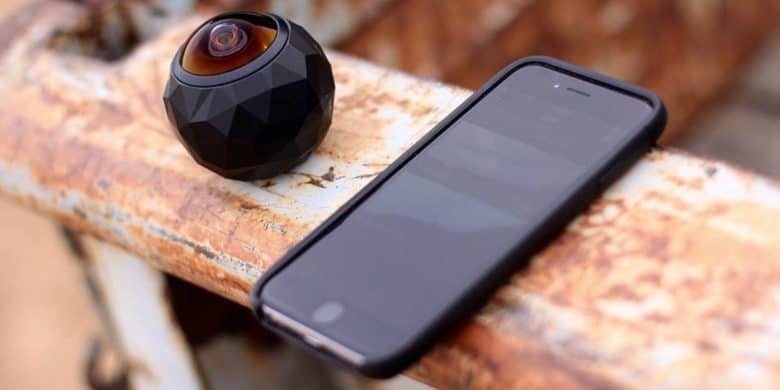 It’s a dustproof, shockproof, water-resistant, polygonal orb that’s robust enough to take almost anywhere, with enough storage for three hours of HD footage, plus a mobile app for quick editing. It’s packed with other cool features, and the whole thing costs less than 80 bucks. Buy now: Get the 360fly HD Video Camera for $69.99. That’s 76 percent off the usual price.